The other night I was flipping through old sketch books (searching for ideas) and ran across this page. 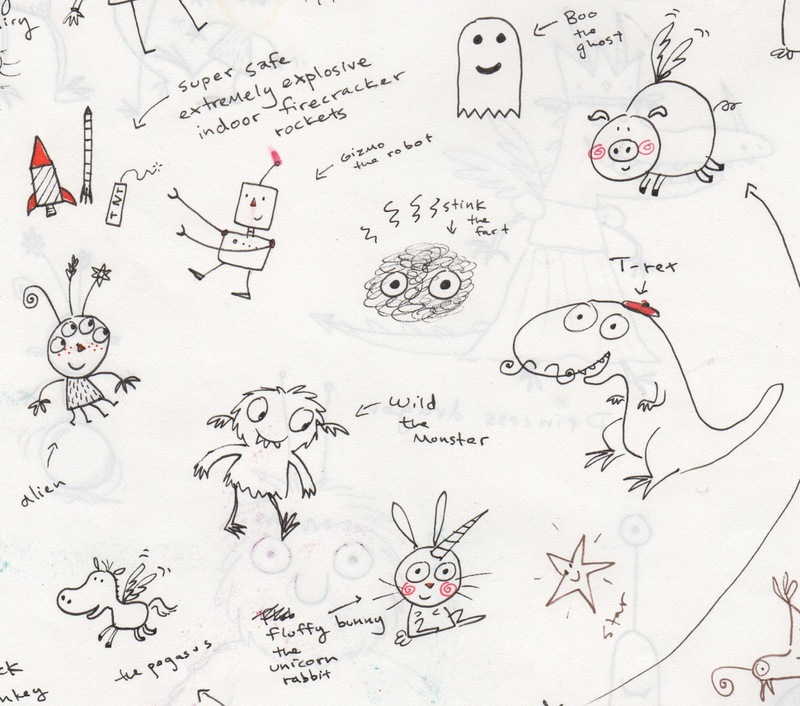 These doodles are from Sept. 2011 and were the start of my book Rex Wrecks It! I wanted to make a book that would have a bunch of stuff I enjoy drawing. Apparently that includes farts! The story went through a number of permutations and in the end only four of these characters stuck around. It's fun for me to see how the project changed. I forgot that Gizmo didn't have glasses to start out and I have no idea why Rex has a mustache and a beret (doesn't exactly fit his personality). Fluffy would become Sprinkles. Xzklmf the alien had to go back to its home planet. Wild actually looks pretty darn similar to the final version. I wish Boo had made the final cut. Forgot how much I loved that ghost!